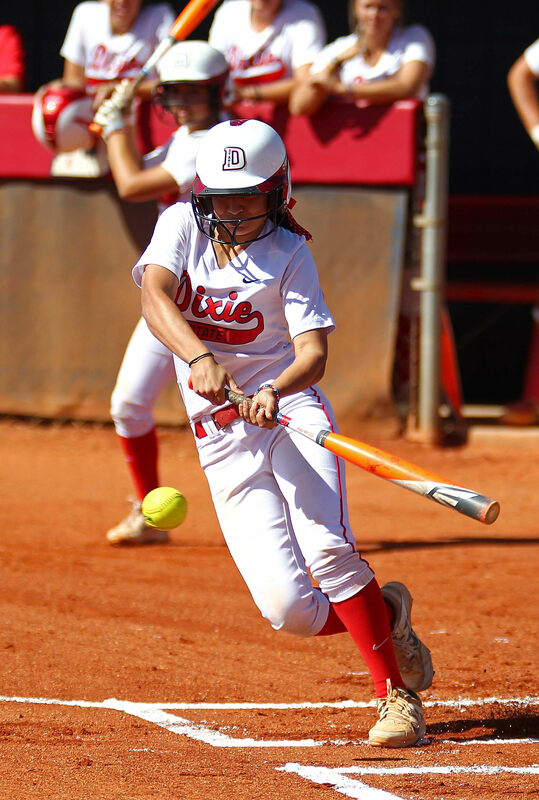 ST. GEORGE – The number is down to the Sweet 16 in D-II softball. Dixie State is the top returning team from last year’s Nationals still in the field as both West Texas A&M (defending champ) and Valdosta State fell in their regionals. SSU finished 42-19 overall and 24-11 in the CCAA Conference, good enough for third. They finished the season out of the NCAA rankings though were the second highest receiving votes out of the top 25. The two teams start tyheir best of three series today at 3 p.m. at Karl Brooks Field in St. George. All three have been selected to the All-Region first team. Purdy and Ray are hitting at .471 and .464 clips, respectively. Dixie placed five players on the All-Region first team. Duncan is joined by the top four batters in the Dixie lineup, Janessa Bassett, Nicole Chavez, Courtney Hine and Marla Reiter. The Seawolves are 6-4 against PacWest teams this season. This will be their first time in the Super Regional after advancing to the sub-regionals nine years in a row. As a team the Seawolves hit at a .333 clip compared to DSU’s .353. Dixie also has the slight edge in fielding, .971-.954. The starkest contrast between the two teams is the pitching. Duncan and Feickert have led Dixie to a 1.79 ERA with Duncan leading the way at 1.34. The Seawolves pitch at a 3.21 average. Llerena tops the staff with a 2.65 ERA. The Super Regional format is best out of three. Game time Friday is 3 p.m. On Saturday, the first game is 1 p.m. and if necessary, the third game will begin at 3:30 p.m.